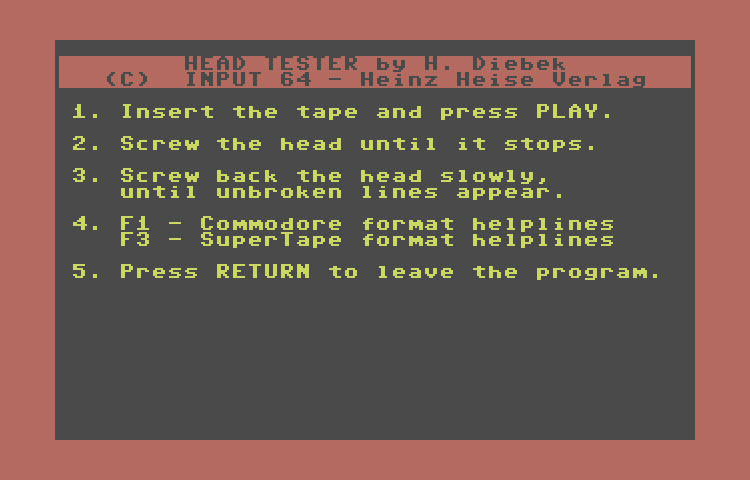 Input 64 by H. Diebek - Head Tester is a utility to help align the head of your tape drive. Simple instructions included in the program. 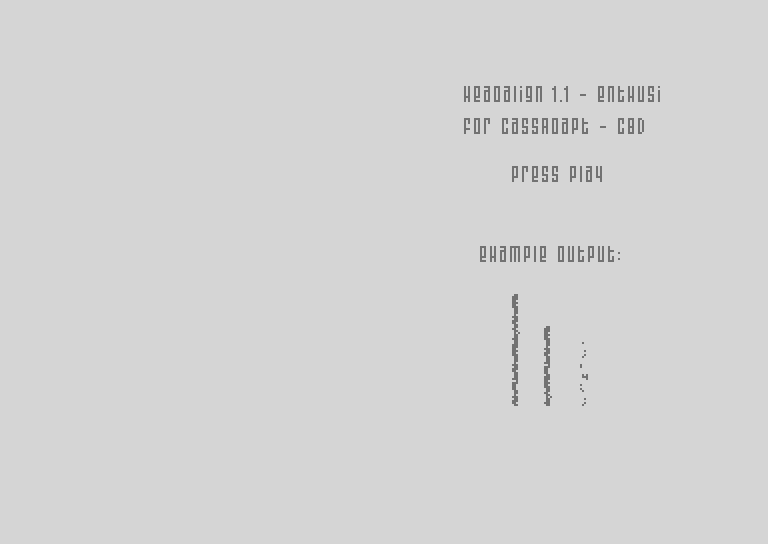 HeadAlign v1.1 by Enthusi is a small little utility that helps you align the tape head on your cassette player. 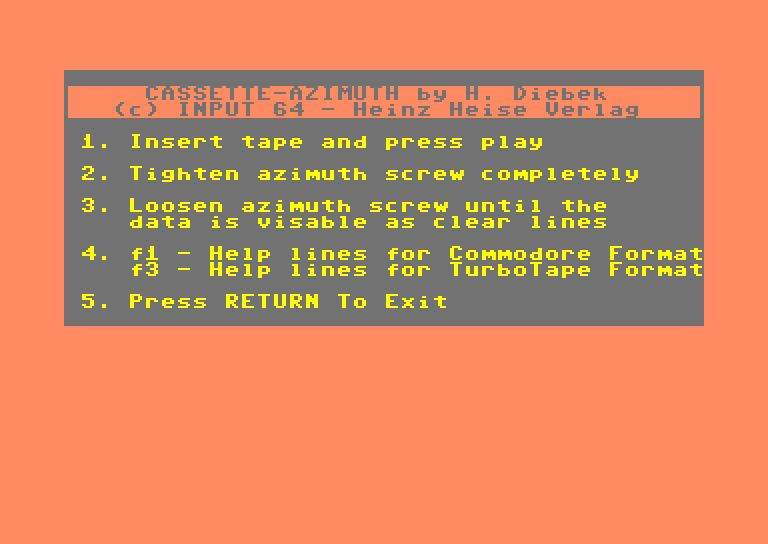 This handy utility published by Input 64 was written by H. Heise Verlag to help with aligning the tape head on your cassette drive.